Working to prepare a major business presentation, I didn’t post a single P-A-D last week. Long hours, nights full of intermittent sleep, and running on adrenaline are all stresses to the body. 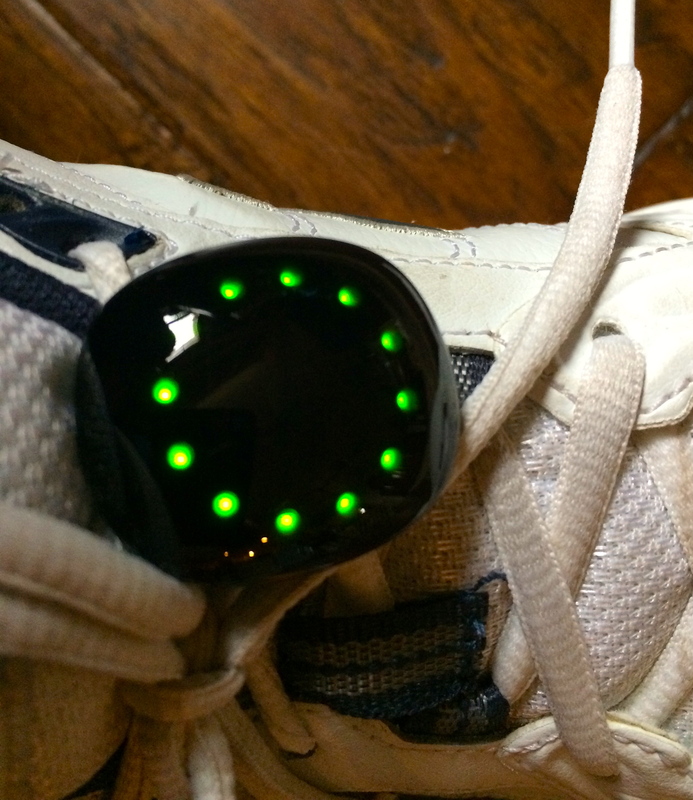 Thankfully, my company offers a proactive wellness program that includes this cool little device, called a “Ped”, that attaches to our shoes and keeps track of motion. Our goal is 5,000 steps per day; that’s a lot! But take a 3-mile walk on a lovely February day in Texas and the goal is achieved, causing the Ped to reward its user with this cool little light show. By midday, I had taken 6,364 steps. And it felt good.